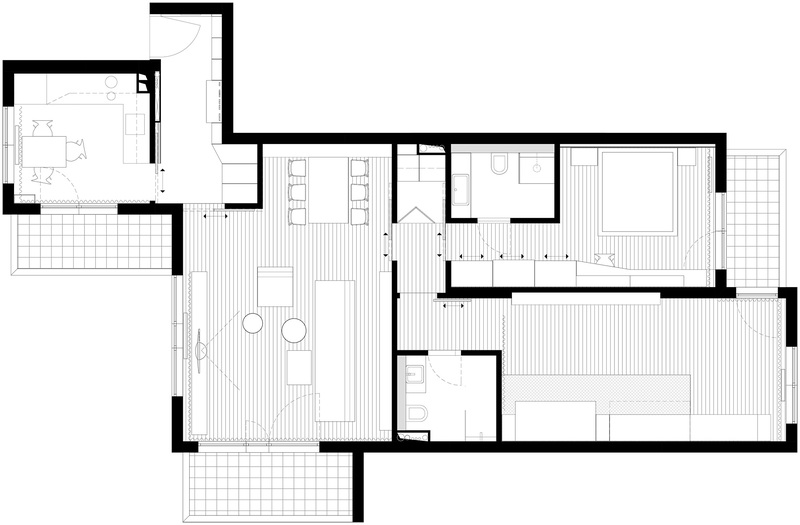 Interior design of an apartment for a young family and their 3-year old daughter. Colourful accents in the furniture add vividness to the neutral finishes of walls /white and grey paint/ and floors /oak parquet, exposed concrete/. 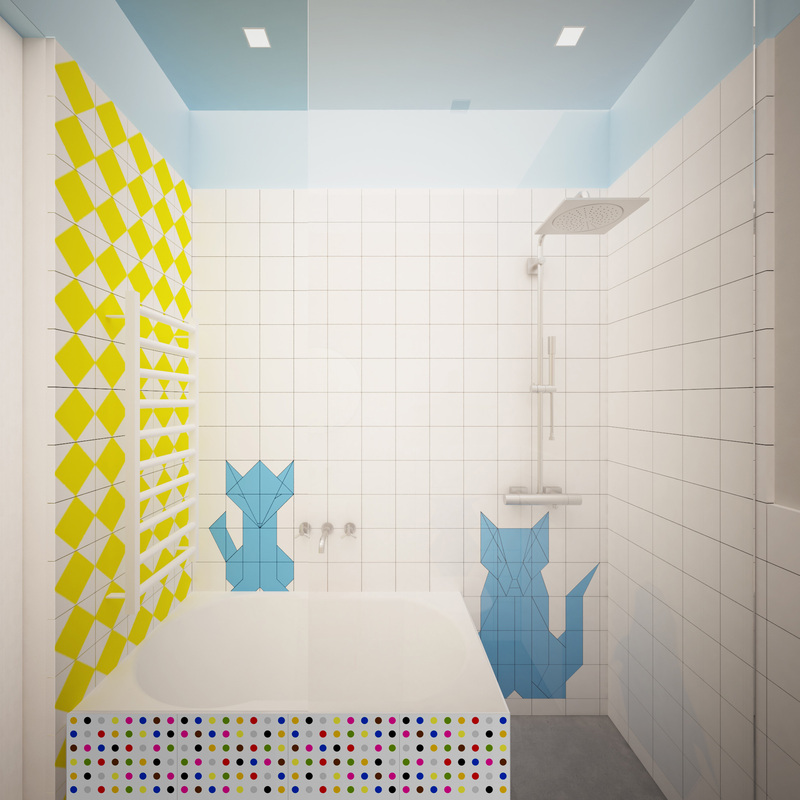 In order to fulfill the parents' wish for some colour and playfulness in the child's bathroom, the walls were covered with square, white ceramic tiles with colourful geometric animals peeking from different corners.